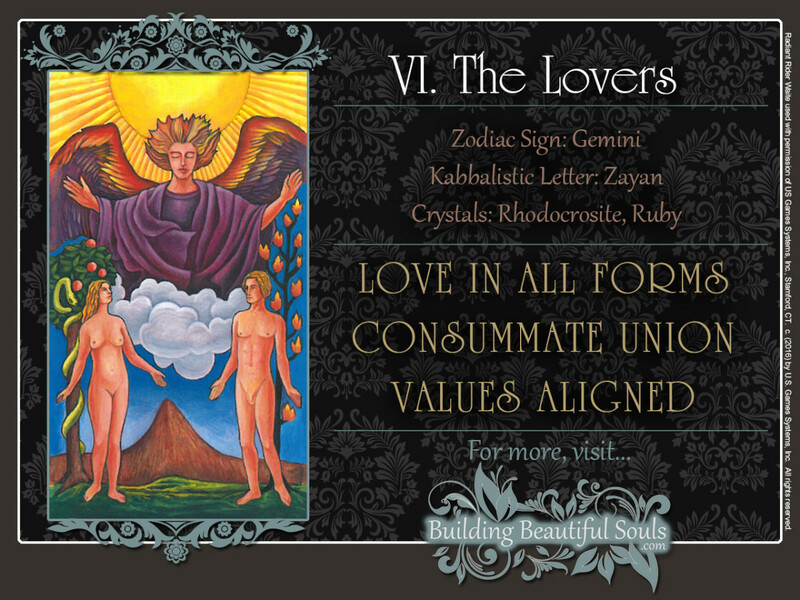 Seemingly straightforward, The Lovers tarot is actually one of the more complex tarot cards. How could it not be when love, itself, has so many forms? Further, the complexities of the Lovers card can be difficult to interpret because love can be mental, emotional and physical. It can be heaven or hell. And it can be all these things all at the same time. The ancient Greeks understood this complexity so well that they actually had three words for it: eros (romantic love), philia (love between friends), and agape (divine love). These types of love aren’t mutually exclusive. Romantic lovers are often best friends and ideally, spouses combine all three kinds: as lovers, friends, and soul mates. The Lovers tarot card symbolizes eros, philia, and agape in their purest form. Here, the lovers interact with one another, forming a complete whole. Together, these types of love are like different flowers which come together in perfect harmony to make a most magnificent garden. The garden in the Lovers tarot is the Garden of Eden, as you can tell by the Tree of Knowledge on the left and the Tree of Life on the right. It symbolizes a state of purity, the ideal of love before it comes into contact with physical experience. The angel is a divine being. His head extends into the sun, symbol of the deity, meaning that he is in direct communication with the divine source. The purple robes and the cloud on which he appears reinforce his divine authority. Notice that the angel’s arms are outstretched on the Lovers tarot card, with the palms of his hands facing down in a gesture of blessing. The man and woman in the Lovers tarot card represent humanity in its original state of innocence. The configuration of these three figures is found in three other Major Arcana: The Devil, The Chariot, and The Hierophant. There is a similar interaction – of three parts forming one – in the Wheel of Fortune. In the Wheel, however, this interaction is one of necessity: Everything falls apart, if one piece is missing. In the Lovers tarot, the interaction is one of enrichment: While one kind of love can enhance the others, it may also exist on its own. The mountain in the background of the Lovers tarot shows the spiritual heights you can reach when you have all three types of love. More than anything else, the Lovers tarot card is a blueprint for love. In other words, the kind of love the Lovers card suggests in a reading depends on several important factors. One factor is the type of love to which you gravitate. Another factor is how you relate to others in general. If your question is about a specific person, this includes how you relate to him or her. Remember that the Lovers tarot shows not only romantic love, but also friendship and divine love – or the love of a greater cause. Keep in mind, too, that each type of love can exist on its own. The Lovers tarot may show that an existing relationship may solidify into a lifelong partnership or marriage, or that a friendship is about to turn into either a romantic relationship or a spiritual kinship. If you are already in a committed partnership, the Lovers card is a reminder that love exists on different levels. In this case, the Lovers tarot card will show you ways in which you can enrich an already satisfying relationship, or it will point to areas that require more attention. For example: Have you moved from being passionate lovers to being friends, or can you connect only during intimate moments? Do you still share the same dreams and aspirations? The Lovers tarot is associated with the Zodiac Sign of Gemini, famous for its insatiable curiosity, so exploring every possible option when sorting these things out will provide important answers. Love is not always about relationships. It is a creative energy that results from a feeling of being in perfect harmony with your actions and environment. The sense of satisfaction derived from doing the right thing is a type of love. It is also the energy that inspires such actions. For example, Mahatma Gandhi gave up a successful career as a lawyer to free his native India from British rule through nonviolence. He could have used his charismatic influence to organize an armed rebellion and force the British out with military action. However, his love for all human beings would not allow this. While citing Ghandi as an example might seem out of place because most of us will not be world renown so on the surface it would seem that our choices do not impact the world in nearly as profound a manner, The Lovers tarot card urges us to remember that the ripple effects of our choices can change the course of generations to come. A recent experience or inner struggle is prompting you to revise your thoughts and feelings about love. It could well be that you are in the process of discovering that it reaches across a broader spectrum than you thought. 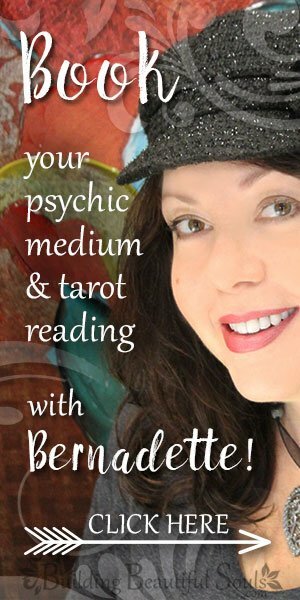 When The Lovers tarot card is reversed in a reading, it may also suggest that you have had a completely wrong idea about love, what it means to love someone, or who may or may not be deserving of love. This does not mean that you have become jaded or disillusioned. It means that your perspective is changing. Again, love is not always about relationships. A relationship can go on out habit or financial necessity long after it has ceased to be a loving one. Love is an energy that is far more universal than what happens between two people. In The Art of Loving, psychologist Erich Fromm (1900-1980) asserted love requires faith, “and whoever is of little faith is also of little love.” It’s also more than a feeling: It is a practice. When reversed, The Lovers tarot points to an inner struggle, challenging you rethink love in its most fundamental terms. For example, you may have resolved that family is not always about blood, and you are now accepting a step sibling, child, or parent into your heart. Or, having been bitterly disappointed by past relationships, you have discovered that love can indeed be unconditional. Helping someone else grow as a person, you may understand that you are not doing him or her any favors by enabling destructive thinking and behavior patterns. You may realize that love must sometimes be “tough.” Or you have now come to understand that your “tough love” wasn’t about love at all, but power – that you were only forcing your sense of right and wrong onto someone else. The Lovers card is the sixth Major Arcanum. In Numerology the Number 6 is associated with Venus, and physical love is very much an aspect of this card. The Star of David, symbolizing the principle of “as above, so below” as well as the merging of matter and spirit, also has 6 points.